When Lea Haas-Fridrich took over Woodstock’s beloved Garden Cafe in May, patrons breathed a sigh of relief that the vegan eatery would survive. After eight years, founder Pam Brown had stepped away for health reasons, and the restaurant’s future had been uncertain for a while. But under Haas-Fridrich, with a boost from an angel investor, it’s not only surviving, but thriving — so vibrantly that, just five months later, the restaurant is nearly doubling its footprint. 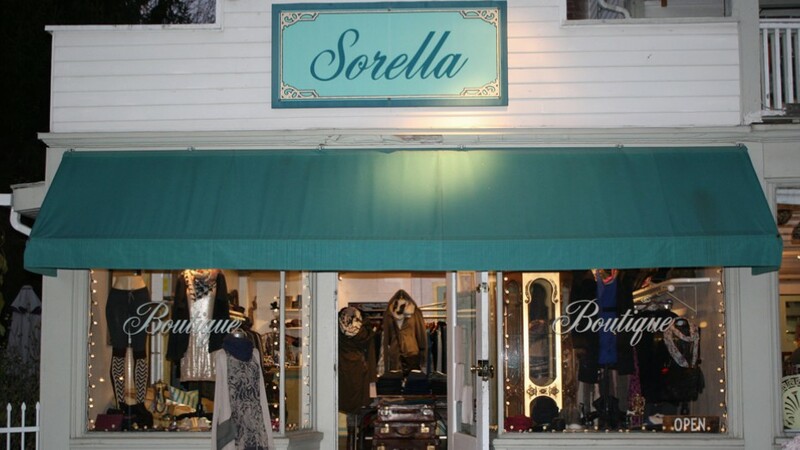 Over the next month, the restaurant and juice bar is expanding next door, into the retail store that most recently was home to Sorella of Woodstock, a women’s clothing boutique at 8 Old Forge Road. 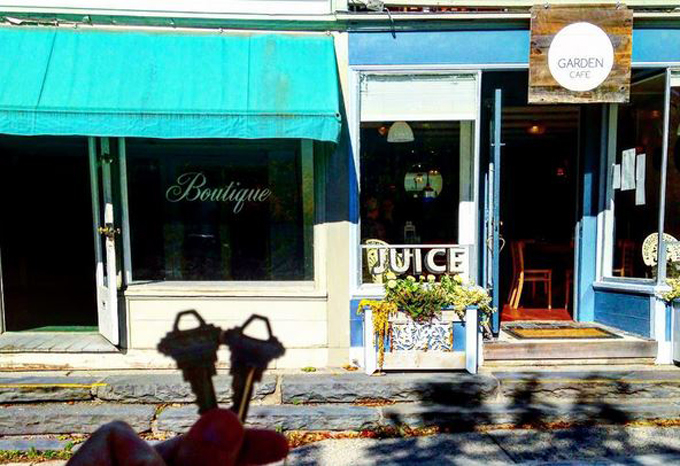 It was a natural fit, since the Garden Cafe’s kitchen already runs behind the shop, and connecting the two spaces with archways was a simple renovation. The current dining room seats 24; the new plans accommodate a total of 40, which Haas-Fridrich hopes will mean fewer people waiting on the sidewalk for a table. The additional square footage is enabling a variety of upgrades, Haas-Fridrich said. Key among them: the addition of a bathroom, which the restaurant has never had. The bar will be expanded, with improved wifi and charging stations. A simultaneous kitchen upfit will create a full bakery set-up and also improve service efficiency so patrons won’t have to wait so long for food during rush times, she said. Haas-Fridrich has been tinkering with the menu since arriving at Garden Cafe, and this expansion has created another opportunity to try new dishes, she said. At the same time, she’s been sensitive to customer feedback about long-time favorites, and plans to keep a lot of the staples that Brown established. Our plan is to work from home with seasonal pop-up parties at local businesses … We look forward to the freedom we will have & hope to see you all along the way … This is not an end! It’s a beautiful beginning. Find Garden Cafe Woodstock at 6 Old Forge Road, Woodstock. Current hours are 11:30 a.m. to 9 p.m. weekdays, 10 a.m. to 10 p.m. Saturdays and 11:30 a.m. to 10 p.m. Sundays. Look for updates on the restaurant’s Instagram feed. We celebrated our 20th anniversary with a peaceful meal at the Garden Cafe and everything was perfection from beginning to end. All the best for a booming business! Couldn’t happen to a more creative and committed business woman. Can’t wait to see the new space.